Italian styling at its very best, these all brass soap dishes are finished in a thick chrome plating. Design to last and supplied with a 10 year guarantee, these bathroom accessories are ideal for the high quality finishing touches that top end bathrooms require. * Italian styled & made. 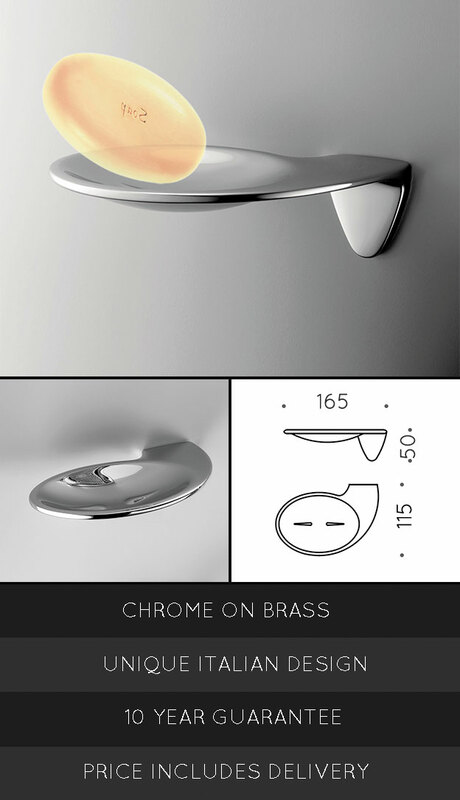 * All brass with chrome finish.